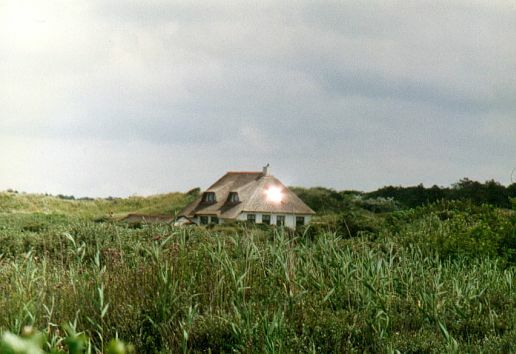 Nothing very strange here: just a roof window of a house in the Dutch island of Ameland, reflecting the light of the Sun straight into the camera lens. Although the brilliance is difficult to capture on camera, such reflections can appear highly unusual when seen with the naked eye from a distance. See also our previous and next picture.